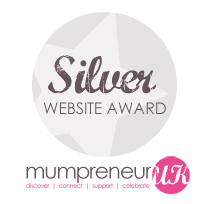 Well would you believe it, little ole us have won a silver website award from the lovely people at Mumpreneur UK www.mumpreneuruk.com who help and promote mummies who are doing it for themselves in business in the UK and Ireland. So in a Hollywood Oscars style fashion we’d like to say a few thank you’s. To Mumpreneur UK, thank you for assessing our site and giving us a thumbs up and a gold to aim for. To the fabulous Altdesign www.alt-design.net, thank you for fine tuning our website wishes and making it a reality. To our Rufus Rabbit fans we’d like to thank you for using our site, sharing our blogs, liking our posts and giving us feedback on our site. Invaluable. And last but not least we’d also like to thank the chocolate makers at Lindt just in case they want to send some taster samples from their Lindor Truffles range to help Rufus with his Easter bunny duties! Welcome to the humble world of Rufus Rabbit, the funny bunny creation of designer and Mummy to four, Anna Danielle. Rufus Rabbit started out as a greeting card character, publishing amusing but completely made up facts based loosely around real life. Then, towards the end of 2011 Rufus made the transition into a baby gift range based on nothing more than a “I think it could work” hunch from brothers and sister team; Gavin, Anna & Nathan. Greeting cards were their thing and yet with absolutely no prior knowledge of the baby or toy market these three and their fabulous motley crew of 6, set about bringing Rufus Rabbit to a nursery room near you.